The Texas Instruments THS7314 and THS7316 chips are SDTV video amplifiers designed specifically for analog video signals. They are commonly used as an RGB amplifier in retro game consoles. 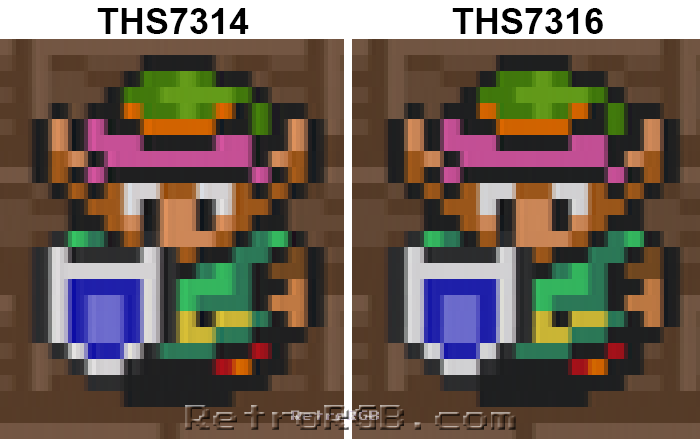 *The 7316 actually does have a LFP, but it’s tuned at a higher frequency that doesn’t effect SDTV singals, so when used with classic game consoles, it’s as if it’s not even there. 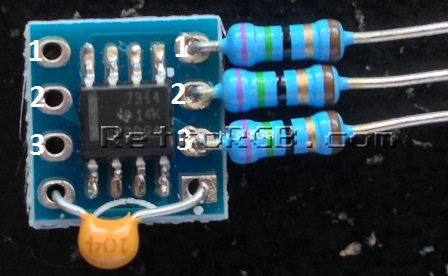 The installation of both chips is identical and while the chips in these pictures show the 7314, just follow the same procedure for the 7316. Both chips have 3 inputs/outputs, plus power and ground; The power is filtered by a capacitor and the output is regulated by 75 Ohm resistors. 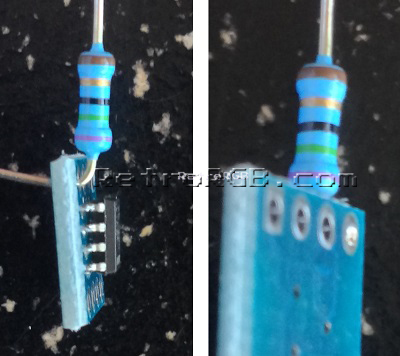 Using 75 Ohm resistors is important, as it provides the exact signal your display is expecting. Using resistors other than 75 Ohm could cause quality loss in the video output, among other unwanted side-effects. If you’re using one of these amps in your game console, but find the output to be too bright, check the individual mod pages for more info, or simply add resistors to the input side of the amp, instead of changing the output resistance. Then, add the capacitor between power and ground. I realize this might seem strange to a beginner, as you’d normally never touch power and ground together. In this installation, the capacitor acts as a “power filter”, ensuring that the voltage running through doesn’t cause interference with the signal. That’s pretty much it. The inputs on the left will pass directly through to the inputs on the right (numbered as 1-3 in the above picture). You can use this amp to amplify pretty much any 3-channel SD video signal and even use it to amplify sync if needed (but you’d obviously only use one input/output if you were making a sync amp). In some cases, this circuit will look perfect without any other components (like with the N64), but in many other cases, the image will be slightly too bright. In these scenarios, the best solution is to use an oscilloscope to measure the exact output and use a set of pulldown resistors. 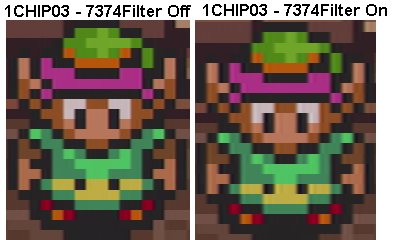 For SNES Mini and 1CHIP, these values are already calculated and shown in their respective guides. I hope this page was able to aid with the assembly of the amp and possibly even clear up some confusion about the filters and output resistors/brightness. It’s used in many of the mods in my Console Info & Mods page and can be helpful in other applications as well.